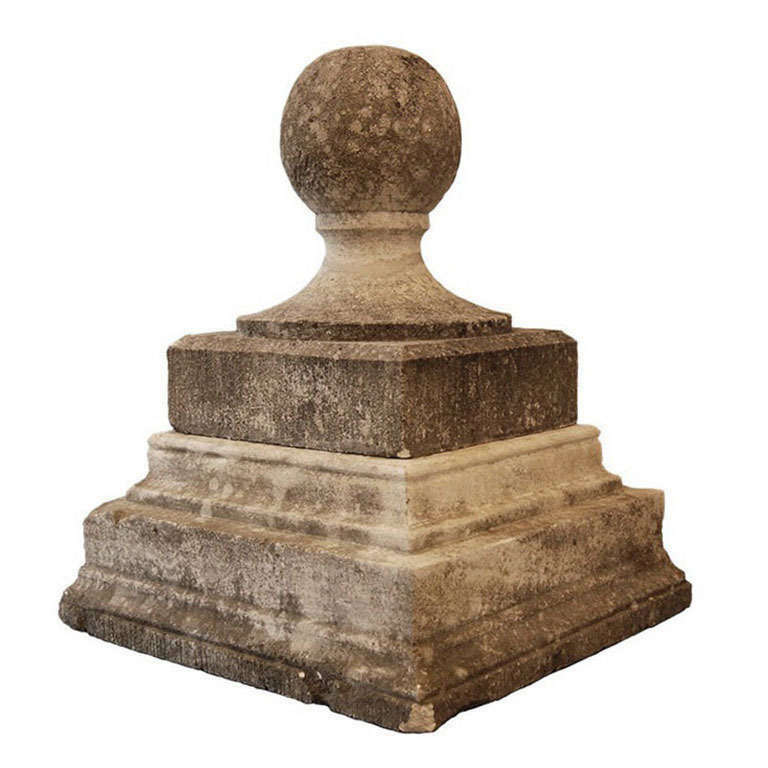 Carved stone architectural finial with ball top on squared base, French, 1880. 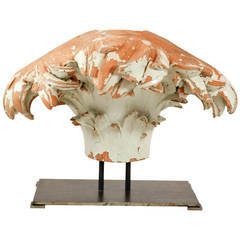 Late 18th c. French chimney fragment, glazed terra cotta, custom mount. Italian 19th century carved wood Trompe-L'oiel ottoman with original paint. Barrel back chair in steel with painted surface with custom coral linen cushion. 1930s light gray large stone finial with a simple design. This can be seen at our 400 Gilligan St location in Scranton, PA. Pair of cast stone finials with ball tops and ornamented fleur-de-lys, 1820 carved in stone. Pair of carved wood Italian painted finials with flame tops. Worn distressed paint. Pair of grand size carved wood flamed finial urns with two arms. The urns have a beautiful worn grey painted finish with natural wood exposed underneath the distressed paint. Rare and beautiful small medieval treasure. Hand carved Romanesque stone capital, France, circa 1250-1400. Weathered, small losses. Large and unique carved stone building fragment of a lion head.